We all make mistakes in life. Everyone. Those folks who seem cool as a cucumber, like they have it all together? Yup, them to. The difference in success and failure lies in how we treat our mistakes. It’s the spirit we choose to have when it comes to our mistakes that defines, in many ways, how our life will play out. What some choose to turn into defeat, others choose to use as a pile to step on, bringing them one step closer to the top than everyone else around them. The hope, of course, is that as we grow older we will make fewer mistakes. If y’all were ever a teenager like me, the bar is probably not set too high to be able to achieve that. Lord help me, I was a complete idiot until the age of 25, and still have relapses from time to time. But the good news is that continuing making mistakes as we grow older means that our knowledge is growing at a pretty rapid pace as well. Everything we do that doesn’t work out as planned makes another huge deposit into that bank of knowledge. That’s how you get to be a wise old person, which is my ultimate goal. And sometimes, every now and then, just to throw us off and show us that we don’t have all the answers – even when it comes to making mistakes – something that we view as a mistake will be viewed by others as a success and we just stand off to the side, scratching our heads and looking at them like they’re crazy. Until we realize that they most likely are. Because they’re related to us. A. 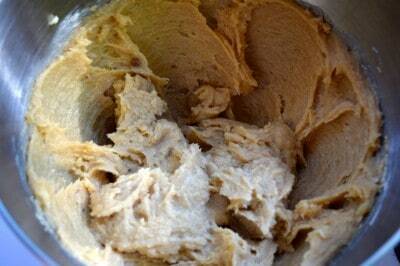 The best raw cookie dough I’ve ever had in my life (that is safe to eat raw, too!). I mean you could just sit down with a bowl of this stuff and a spoon. B. A soft, chewy cookie that remains somewhat short in stature rather than rising. The key to this was that I substituted self rising flour for plain, which doesn’t have the same amount of leavening as the original recipe called for. I took one bite, thought they were delicious but not “pretty” due to their lack of rising, and chalked it up to experiment day one, with plans to remake and get it right later that evening. And then my kids walked in the door. I didn’t have time to tell them the cookies were a flop before the smell had them grabbing cookies off the plate and taking bites. Eyes rolled back in their heads. The cookies were pronounced “one of the all time best”, “must make more often”, and “why haven’t you made these before?”. I looked at them in utter confusion and told my husband they were flops and I was going to remake them later on. He looked at me like I’d grown two heads and decided to shave one of them into a mohawk. “Are you crazy? These are amazing! I can’t believe you’d change something. Don’t you dare change these cookies!”. They were gone by that evening and the next morning Brady woke up asking if we had anymore. Crazy kids. Don’t they know these cookies are a flop? Take butter, cream cheese, brown sugar, and combine them into chewy bitesize goodness and call it wonderful? Okay. I give up. I’m not changing a thing. My family likes my mistakes just as they are. So here ya go. One of the best tasting flops you ever had. 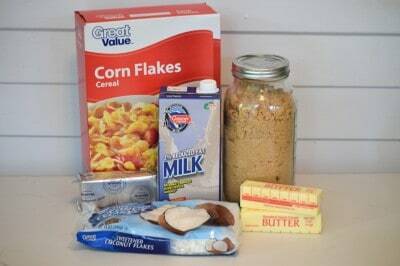 Moving right along, you’ll need: Corn Flakes (not sweetened), Milk, Brown Sugar, Cream Cheese, Butter, Butter, and Coconut. Oh goodness, and flour. I have no idea why flour isn’t pictured here. I specifically told it to get into the picture and you know nothing in my house ever disobeys me, right? P.S. I meant to say butter twice :). 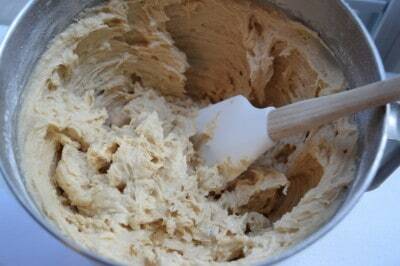 So put your butter, cream cheese, and brown sugar in a bowl and beat the mess out of it. As I type this, a tiny little mosquito is attempting to court my computer monitor. One of the dangers of writing posts before the sun comes up is that the computer light feels like a lighthouse in the room. But hey, how else are you gonna spend your Saturday? Here is what it looks like after that mixing. Eat some of this. Please. It is pure D Heaven. And I apologize for the shadows but if you want better food photography from me, you’re gonna have to ask a giant sunbeam to follow me around all day. Better yet, a photographer. That would be even better. Fortunately, I know y’all don’t come here for the food photography. Bless you for that! Now dump in all of the other stuff and mix it up again. Here ya go! Now just cover that up and put it in the fridge for several hours.. I can’t cook it now? I have to wait HOURS before I can finish this recipe? Seriously? I know, I hate it when that happens, too. I usually toss it in the freezer for ten minutes and declare that to be the equivalent of “chilling for several hours” but in this case, ~sighs~ you gotta do it. So I put mine in the fridge and went to sleep. Because we don’t get enough sleep in our lives. I’ve declared it so. Most people’s bedtimes are freakishly late so I am here, standing in your stead, trying to make up for the difference on your behalf, by going to bed at 8. I have been known to hit the hay at 6 on rare occasions. But then I POP out of bed like a toaster in time to wake the sun up the next day! I do that for you, too. I’m a giver, I tell ya. Crush some corn flakes. Just…kinda…whatever you think you’ll need. A cup or so. It’s not like you can’t crush some more if you end up using them all, right? And then place them on a lightly GREASED cookie sheet. Now bake these at 350 for about 15 minutes. You want them to be lightly browned around the edges. 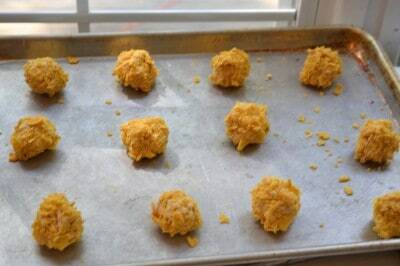 Once you remove them from the oven, allow them to cool completely on the cookie sheet before removing them to a plate. They aren’t firm enough to move until they are cool. 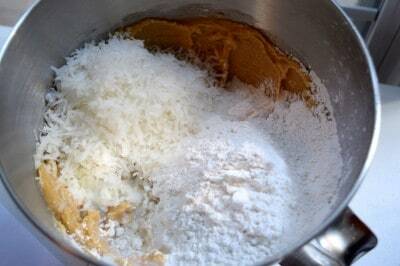 In a large mixing bowl, place butter, cream cheese, and brown sugar. Mix until thoroughly creamed. Add all other ingredients and mix again until well blended. Cover and chill for several hours. 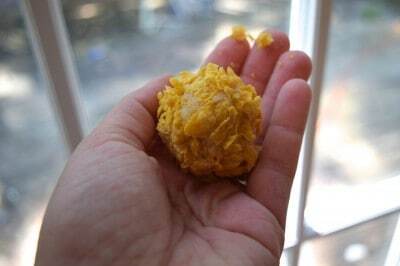 Form dough into small balls and roll in crushed cornflakes. Place on greased cookie sheet and bake at 350 for 15 minutes, careful not to burn. 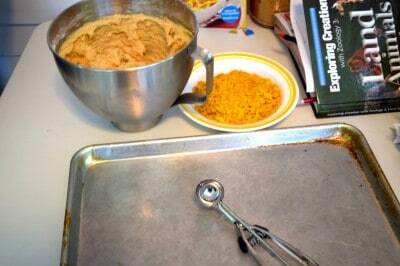 Allow to cool completely on cookie sheets before removing. Love this! The recipe and the story! Isn’t that how we are? We have our own ideas of perfection and brush off people’s comments that tell us we are perfect already?!?! Thanks for the story and the recipe! 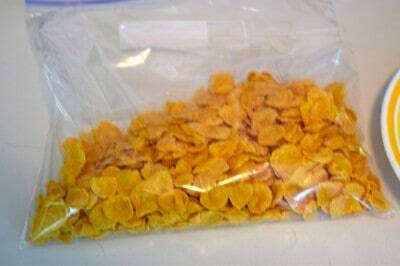 It’ll be the perfect use for the rest of those cornflakes in my pantry! Amen Elizabeth!!! You are so right! Christy, I would love to meet you. You have such a wonderful sense of humor. I love reading your stories & your recipes and so good. I was all excited until I saw coconut. I’m allergic. No hives or breakouts or inability to breathe, but I itch from head to toe for HOURS!! Any suggestions as to what I could sub for coconut? Cause these sound AWESOME!!! I’m guessing that my last comment did not post. Dunno what I did wrong, but I did wake up with a migraine. Can I blame the headache? First, slivered almonds will be a great sub. Second, I’ve never been fond of seafood, either, except deviled crab. I do love me some devolved crab. Third, I’m told that I’m quite entertaining when I accidentally ingest coconut. I’m usually hopping on one foot while scratching the back of my leg (the one I’m hopping on) with the foot I’m not hopping on. Plus I’m scratching my tummy. And my scalp. And my sides. And, yes, even my behind itches. ~sigh~ it’s a curse, I suppose. Devolved crab?? Autocorrect is the debil…..
Lol! I just figured devolved crab was a thing! I’ve had a headache for going on two weeks now and it is with great pride that I inform you that you can absolutely blame that on your headache but you can also add to the list : Messy house, unfinished work of any kind, inability to cook (and therefore necessity of dining out – preferably at your favorite restaurant), also lost keys, unpaid bills, and money mysteriously disappearing from your bank account in debits suspiciously named after your favorite stores. i’ll take your water chestnuts (happily) but i’m not gonna eat coconut. no way, no how. my daddy and my gramma said my “taste would change” when i got older and that i’d start liking foods i didn’t like when i was little… well, i still don’t like them. maybe after i turn 40? i try stuff every so often just to make sure, and nope. can’t do coconut. can’t even stand food with palm oil as an ingredient because to me it tastes like coconut. … i don’t like almonds, either. i wonder if slivered water chestnuts would work? no? hm. might try with oatmeal. or more corn flakes. this recipe reminds me a lot of Ranger Cookies, which my mom bought sometimes at the Kroger and i remember thinking they’d be so good if they didn’t taste like suntan oil. Christy I don’t know if this would work but what about puffed rice cereal in place of the coconut. The reason I said this is that I make a cookie that has the same dough ingredients (not the same quantities) and uses the rice cereal and not coconut. HOWEVER I love coconut so I will make these like you have the recipe. What that I will not eat in no way, no how is wild meat. I just can’t bring myself to eat, Bambi, Thumper, or Chip and Dale. What about some rolled oats? Hahahahahahahahaha!!! Christy, you’re the best. … And I wanna be at your table when the seafood and water chestnuts get passed out, cuz we’re getting SOMETHING ELSE. That stuff is NASTY! Haha! Thanks for the laugh. Oh, I’ll have to try this recipe too… cream cheese? Yum. 😀 you can sit with me ANYTIME Becky! How about toffee bits instead of the coconut? 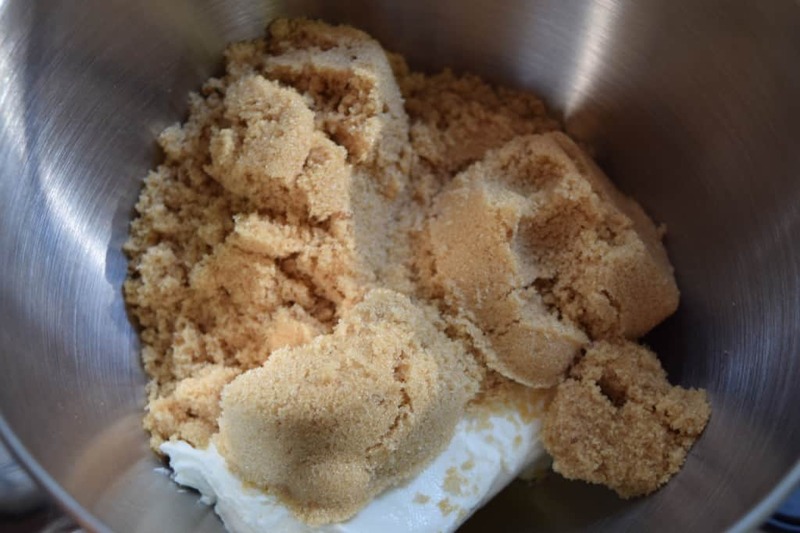 I have an awesome Brown Sugar Pound Cake recipe that has them in it. I don’t have Corn Flakes, and thought I’d roll the cookies in them. What a wonderful memory!You lifted my heart up by sharing it so thank you! I see milk in the ingredient list but you didn’t mention it. Help – want to make these today! Thank you!!! I meant to say “add all other ingredients” in the instructions but ended up saying “add dry ingredients” which doesn’t mean nearly the same thing! I corrected it, thanks to you! P.S. Ooh, look at all the exclamation points! It must be an exciting day for me! Thanks – now to see how long I can refrigerate that dough! This recipe kinda reminds me of Breakfast Cookies … but I like that these are rolled in Corn Flakes. Thanks for your mistake!!! Thank you, Christy for the recipe AND your words of inspiration and daily wisdom. Because my husband is diabetic, I can’t try the recipe until company’s coming or I have an occasion at church but it’s printed and on top of my file!! Love the recipe and the picture of you giving the “you are going to do what? 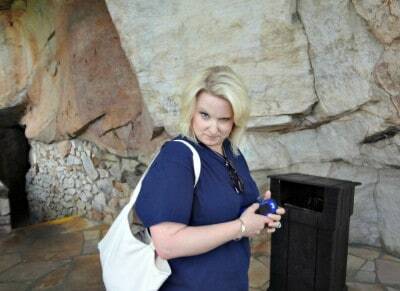 mom eye” just crack me up!!! Love it!!!!! So feeling rather stupid here…can I use all purpose flour instead of self-rising? (Same amount?) Recipe sounds great and I can’t wait to mix it up later today. just add 1+1/2 tsp baking powder and 1/2 tsp salt for EACH cup of all purpose flour. You had no idea how brilliant you were! Awesome – thanks for the info. Cookies turned out scrumptious!! O.K. I really have to try these cookies today. With coconut. No water chestnuts… Or Cilantro. I have a reaction to it and cannot eat it, although it seems to be in just about everything these days. Also, I understand your migraine pain, Kimmy and your two week headache, Christy. I have also suffered with those in the past, but gratefully, not today. May God bless you both with relief from that pain. And Kimmy, I love your comment about auto correct. It is sooooo true! Thank you all for making my morning one of laughter and joy. 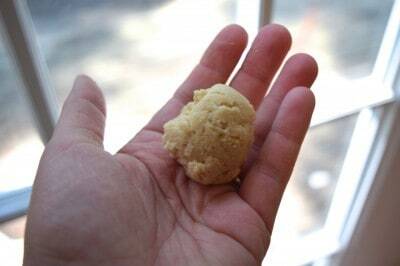 Years ago, my sister made chocolate chip cookies missing several ingredients, one of which was sugar. They truly were terrible! But we ate them all anyway, because in our house, we did not waste food. So even if a recipe mistake turns out NOT to be surprisingly delicious, there probably is a valuable lesson about paying attention, reading instructions, etc. LOL! LOL, I like they way they think!! These sound a lot like Ranger cookies. I’m definitely going to try these because Ranger cookies my favorite. These are just about the same as the Texas Rangers my mama and Grandmama used to make. I LOVE those!!! This cookie sounds scrumtious and want to make it soon, but before I do…should it have eggs in it? Thanks for your recipes, humor and tips, but especially for your wonderful Christian family. Christy really??? On behave of us coconut haters, we really don’t want to be…. And YES we do taste it, and feel that nasty texture…YUK. Sorry, trying some of the others ideas, but luv you still. 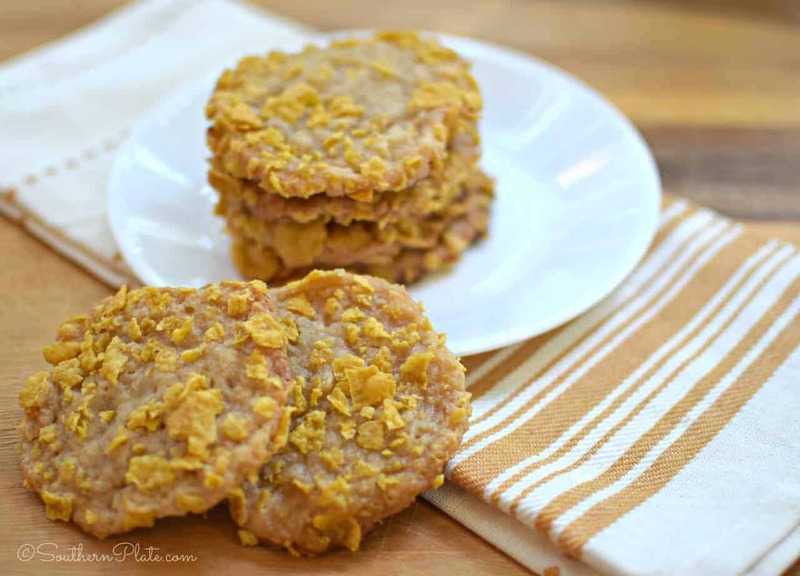 I love coconut and will be making these cookies for my guys. Thanks Christy! I hope everyone likes them Joanne!! These are great! I don’t live just a hop & a skip from Amish Country ( Ethridge). Such great people to deal with. I’m glad you got to visit. Beautiful story; I can definitely relate to it. I too was an idiot until I reached 27 (I’m a late-bloomer, is all I can say), but I guess that’s what youth is for. You call these cookies a mistake, but I think they look wonderful. 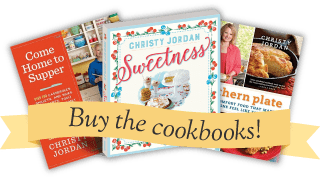 Christy – do you know if these freeze well? I know – they probably don’t last that long at your house, but I wanted to bake some up for Thanksgiving and freeze them since I’m traveling. What do you think? I made them, and they are yummy! You are right…the coconut is a must. Going in my freezer right now! Oh my goodness…these cookies are heavenly. Sinful, but heavenly…Everyone who tries them rolls their eyes back in ecstasy. I’m not kidding. Made them for the family, but ended up taking some of them to work with me because I could not stop eating them myself and had to get them out of my house. They flew off the plate at work. Thanks for sharing your “flop” with me. Tastiest mistake I’ve every had. Looks good, now have to get a box of cornflakes (don’t eat them in this house) but I do love coconut, and feel badly for all of you who can’t eat it whether its an allergic reaction or just the feel/taste of it, I am like that with peanut butter or other nut butters, I simply cannot eat them, even spread very thinly, they gag me, but the funny thing is I can eat all the nuts, eat products of the stuff like peanut butter cookies, but peanut butter no way no how. I cannot eat things like peanut butter pie, so am guessing its a texture thing with me, but it sure frustrated my momma she always wanted to give me peanut butter and bread for a snack and I didn’t like either one! This cracks me up…for me it’s Brussel Sprouts…they are evil, the devil! I can’t stand them…the smel makes me dry heave! Combine that with the fact that as I was growing up they were one of my mothers favorites…not a good combo…she would try and force me to eat them…battles would ensue…you are not leaving the table until you eat them…there were some long nights…and some unpleasant experiences for both of us…she finally gave up! Battle of wills…my stomach…won out…it was not compatible..it just cannot handle them…to this day, I cannot even look at them, without gagging a little. Sometimes we go home to visit and so makes them and I have to walk outside…the smell! OMG! She laughs, now…and says good times…so I bring Sushi and oysters over…good times! LOL! Turn about is fair play! How funny to read all the comments about disliking certain foods. I LOVE coconut in anything or alone. I do not like cheese unless it is melted. the texture of cold cheese is horrible to me. One thing that almost makes me gag is the thought of meatloaf. I can almost feel it coming up in my throat when I think of the taste. I know most people love it but I don’t want to even look at it. Ha!!! If I ever make a cookie or anything that I think flopped I never make it again. Ha!! 🙂 they are fun to read and see just how different all of our taste buds are!! I love the way you are so down to earth when you talk to us. I like yur website Southern Plate. Keep up the good work. Thank you so much Deirdre!! I hope you like the cookies, can’t wait to hear what you think. Christy: These look really good, but the timing is bad. 8) I just made a full batch-that’s half of your double-batch-of Dishpan Cookies yesterday and have 9 dough logs ready to vacuum in Food Saver bags and put in the freezer. Would’ve gotten 10 logs, but Quality Control had to check them. They passed. I like them crunchy, so I don’t know how these are going to be. I don’t think they can be better than your Dishpan Cookies, but I’m willing for Quality Control to check them out. I love coconut, and so does the rest of the family, but my father didn’t. He hated it. I hate liver. Can’t stand the taste, texture, or smell of it and I definitely can’t swallow it. I was quite lucky that my father raised cattle and we always had meat, and that my mother didn’t like liver either, and couldn’t make me eat something she couldn’t eat. She considered that totally unfair. How lucky was that? The rest of the family adores it. I don’t even want it near me at the table. She cooked some every once in a while for the rest of them and we ate something else. Of course I had a friend who said “you’ve never had it cooked correctly. You’d like it the way I do it.” A trophy food like fruitcake-you’d like my fruitcake! Fruitcake, maybe, liver, never! LOL, I have people say that to me all the time about seafood 🙂 so I totally get what you are saying!!! You’re so dang funny! God bless you! 🙂 Thank you Debby, blessings to you!! LOL, I can hear the conversations between us now!!! Love it! And I hope you enjoy the cookies! !